In this week's Agent Insights post, Susan Haughton, a Real Estate Agent in Alexandria, VA - talks about the fine line between aggressive negotation and pushy Real Estate clients. Throughout my years in this real estate gig, I will be the first to say I have had few real complaints about any of the agents I have worked with on the other side of a transaction. Oh, sure, there have always been a few notable exceptions, but you find varying degrees of expertise, training and knowledge in any field, so it's to be expected that not every agent is a stellar agent. I feel fortunate to have worked with largely highly professional, experienced, knowledgable agents in my career. So, it was quite surprising when I came up against an agent who apparently went to the "winning through Intimidation" school of real estate negotiations. However, instead of being intimidating, she was simply loud... and rude. Frankly, she was a bully. I should have known how it was going to go when she sent an offer for one of my listings... and then proceeded to itemize every single fault the property had over the phone. She even launched into a speech that included a detailed analysis on how every other house in the neighborhood that was on the market was far superior and yet far less expensive than my listing. When she finally stopped to draw a breath, I just said, "And, yet - here you are." That was followed by silence before she changed course, which would become her hallmark. Everything was an affront to her personally, it seemed... even her emails were written in huge, bold font, as if she were perpetually shouting. At first, it was annoying, but to be honest - by the end of the transaction, it was actually pretty comical to watch her as she became a screaming parody of herself. She fancied throwing around things like "my clients will WALK on this transaction if your owners do not do every single thing on this list of 51 home inspection repair items." Me: Oh, okay. Here are the 6 things they are willing to do. Her: "That's not enough! That's an insult! I cannot believe this! The house is practically falling apart!" Me: Hmmm, okay. Please get back to me on what they wish to do. Have a nice day! The louder and more demanding she got, the less her clients got. She threatened to kill the transaction more than once and when that had zero effect on me or my clients, she would reverse course. She even argued about things she knew absolutely nothing about. Do you know how hard it is to have a conversation with someone who is loudly protesting something they know absolutely nothing about? It's ort of like arguing with someone who says the sun sets in the east. Trust me, it is not a conversation you ever want to have - lest it make your head explode. Despite everything, yes, we got to settlement. Had I had not worked at maintaining my composure, it could have gotten nasty in a hurry. Although it is always tempting to jump into the fray and slug it out, I decided it was not in my client's best interest to behave the way she was behaving - and I just shrugged it off. Be the bigger agent! So here’s the part where I brag about how great I am, how I am a “people person,” how I’m all about great service, how I’m available 24/7. Yada, yada, yada. Is it true? Of course…well, except for that 24/7 thing, ‘cuz face it, if you call me at 3 a.m., I’m not answering. Ever. I am here to help you through the sometimes confusing, sometimes stressful, sometimes harried, often baffling, process of buying or selling a home. I am here to provide guidance, advice, resources and expert knowledge, from finding a qualified, competent lender or home inspector, to finding the perfect house in the perfect neighborhood for you or finding the qualified buyer for whom your house is THE ONE. 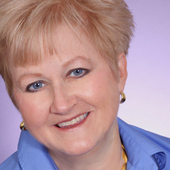 To learn more about Susan, visit her website: http://www.novapropertyshop.com.